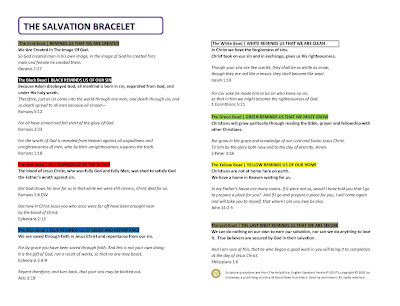 One of the crafts we did during a recent Backyard Bible Club with our church was the well-known salvation bracelet. These have been around for a while and are a great way to remind yourself of the Gospel as well as prepare yourself to share the Gospel. 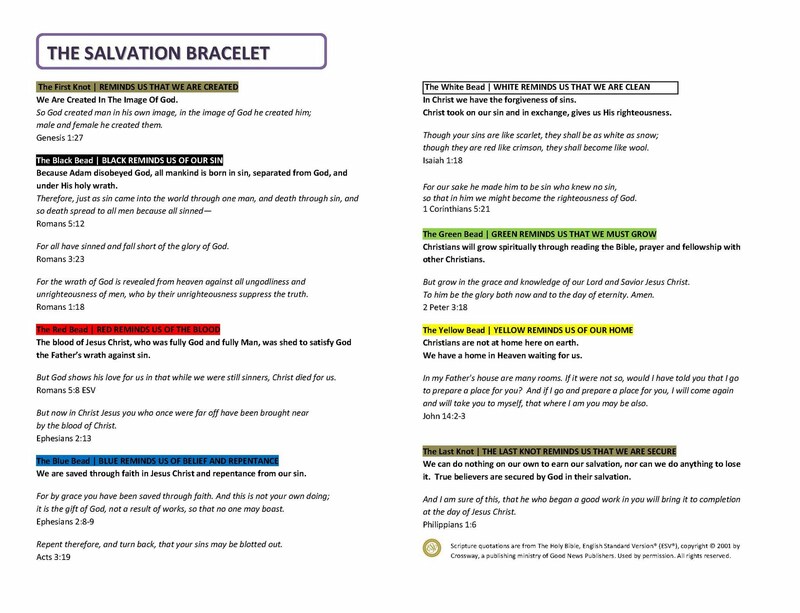 I collected my own set of verses to go with the bracelet and to serve as a Gospel outline for those using this simple tool. I don't know that my verses are better than anything else out there, but I wanted to include a few points that I couldn't find in other examples. If you'd like to use this half-page format, you can download a pdf version here (RIGHT CLICK then "Save As"). 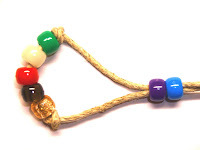 Love the references and titles...just thought I would let you know that for the white bead the verse is 2 Corinthians not 1 Corinthians. Thank you for your help. I am sending some to family members. Oh, thank you! Not sure if I know where this document is on my computer to change it! Thanks for catching that!